The NBA is more unpredictable than it's ever been, with marquee players switching teams and conferences left and right. That said, The Crossover staff was still up to the task of picking the biggest plot twist for 2018-19. Between Jimmy Butler's rampage in Minnesota, LeBron James's trek to L.A. and Kawhi Leonard's holdout with San Antonio, the NBA has never been more unpredictable. 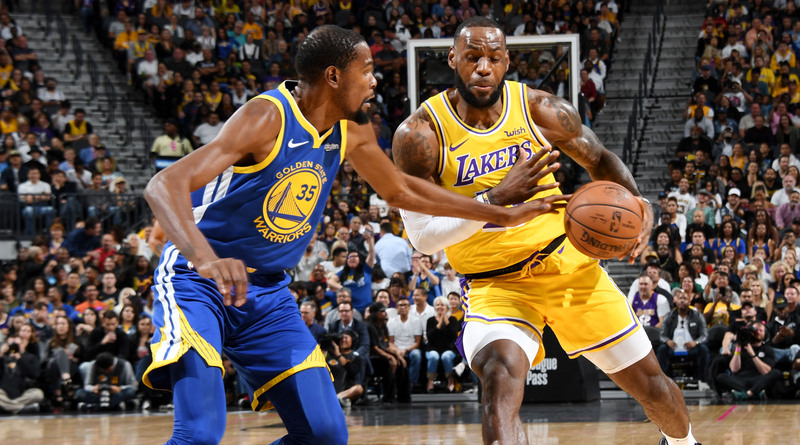 That made The Crossover staff's task of selecting a major plot twist for the 2018–19 NBA season that much tougher. But, as you'll see below, our writers were up to the challenge and there are still predictions to be made about what promises to be an interesting year. First off, Jimmy Butler going rogue is a pretty high bar to clear. Wherever he ends up, whether Miami, a location TBD or back with Thibs in Minnesota—two men extremely unlikely to hug it out—would also qualify. But the season hasn’t even begun, so that feels like a cop out. Besides, the Butler situation still isn’t as weird as Kawhi ghosting last season, or the Steve Sax-ification of Markelle Fultz, so let’s have faith that more weirdness shall ensue. Given that these type of predictions are notoriously inaccurate, let’s aim high and go with a midseason move of Anthony Davis, who also happens to be a potential MVP. Plenty of teams would be in the mix, and Boston has been floated as a destination, but it’s worth noting that only one team has a Director of Research and Identity who once wrote of Davis that he is, “The invention of a God who already built Kevin Durant and decided to get more creative.” (Also: we miss you, Lee). When LeBron James announced his decision to wade into the Western Conference’s deeper waters by joining the Lakers, there was plenty of talk about how his run of eight consecutive Finals trips was suddenly in serious jeopardy. But that’s only one of James’s impressive postseason streaks. Here’s another: James has advanced out of the first round for 13 straight years, dating back to his postseason debut in the 2006 playoffs. For comparison’s sake, Magic Johnson’s longest such run was 10 years (1982 through 1991), Michael Jordan’s was six years (1988 through 1993), and Larry Bird’s was five years (1984 through 1988). There are good reasons to bet that James’s streak ends at an unlucky 13. In a best-case scenario, the Lakers seem poised to be an elite offense and a sub-par defense, an imbalanced profile that doesn’t usually withstand postseason scrutiny in the West. James has also become accustomed to possessing home-court advantage in the first round, something he’s enjoyed in all 13 of his postseason trips. This year, however, the Lakers’ ceiling is likely in the 4–5 range thanks to well-oiled, high-performing squads like Golden State, Houston and Utah. Life will be harder if he starts on the road. Let’s imagine, for a moment, that James does go home in round one. Does his patience with L.A.’s up-and-coming players waver? 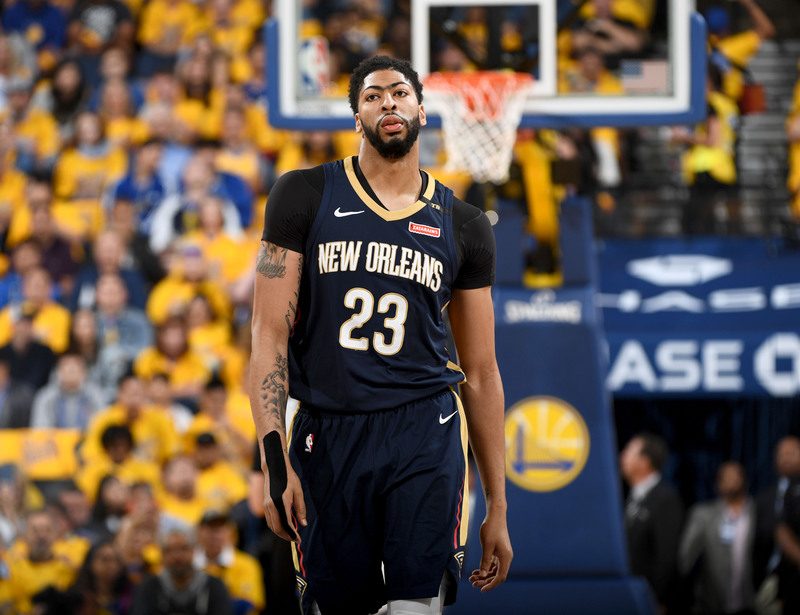 Do Magic Johnson and Rob Pelinka feel compelled to make win-now moves next summer to placate their franchise player? And what about the league-wide financial implications? A compelling postseason can directly influence the NBA’s bottom line, and a James-less final three rounds would be no trifling matter. Just imagine suffering through the 2018 playoffs if James hadn’t been around to deliver triple-doubles, 40-point explosions, and buzzer-beating game-winners against Toronto, Boston and Golden State. For more than a decade, the NBA’s postseason story has been intertwined with its singular star. If James goes home early in 2019, his absence should be viewed as much more than a plot twist. For the sake of entertainment, I don’t think I actually want this to happen, but there’s a scenario where things break bad for the Lakers and this season veers closer to unintentional comedy than a five seed. Granted, there’s at least as much talent on this Lakers roster as the Cavaliers had last season (and yes, they went to the Finals), but surviving in the West is uncharted territory. L.A. has pieces, but few proven ones when it comes to gutting out important moments. I’m as fascinated by this situation as anyone, but realistically there are still growing pains to be had. Have we totally lost sight of the fact that LeBron’s Cavs teams were prone to going MIA for weeks at a time as they figured things out? In all likelihood, the Lakers won’t be able to afford that type of grace period. And if LeBron’s postseason streak (much less his Finals streak) comes to an end, there will be changes coming. I mentioned my love for the Nuggets in our biggest surprise team roundtable. When you looked at a likely-to-leap Denver squad, Donovan Mitchell's rising Jazz, OKC's two-headed monster, an intriguing Anthony Davis-Julius Randle fit in New Orleans and the pesky Trail Blazers, there is a formidable second tier behind Golden State and Houston. Add in LeBron's wildcard Lakers and their are too many suitors vying for their shot at the conference crown. I think DeMarcus Cousins's addition was exactly the entertaining wrinkle the Warriors' stars needed to be engaged for another full-throttle title run, but the Rockets might not have enough to fuel to withstand the charge from those teams nipping at their heels. Damian Lillard’s three-month transformation into a walking flames emoji at the end of last season ignited the Blazers, giving Portland the No. 3 seed in the West. But his scoring tear couldn’t mask the team’s deficiencies in the postseason. Lillard and C.J. McCollum were swarmed by Pelicans guards Rajon Rondo and Jrue Holiday en route to a first-round sweep, Portland’s second straight after losing four in a row against Golden State in 2016–17. Lillard and McCollum are each scoring dynamos in their own right, capable of erupting for 20-plus points in any given quarter. They’re also short and slim, with Lillard often serving as little more than a turnstile. Paired with a shaky and expensive supporting class—including a laughable $17.9 million to Evan Turner and $10.8 million to Maurice Harkless—the Blazers make for a fun night at the arena, but a non-contender in the West. Both Lillard and McCollum have three years remaining on their contracts, so fleeing the coop in free agency isn’t a worry. However, if things start slow in PDX, general manager Neil Olshey could get antsy. A larger wing would do wonders for Portland, as would some freedom from their litany of overpriced role players. Maybe the Jimmy Butler saga extends into the regular season, or maybe Milwaukee wishes to shake things up and deal Khris Middleton. If Washington is unsatisfied with their backcourt duo, ending the John Wall-Bradley Beal pairing could result in a shooting-guard swap. I doubt Portland will deal Lillard, who’s been the face of the franchise for the last five seasons. But if the issues from last year’s playoffs rear their head early in the season, Olshey could send McCollum packing.